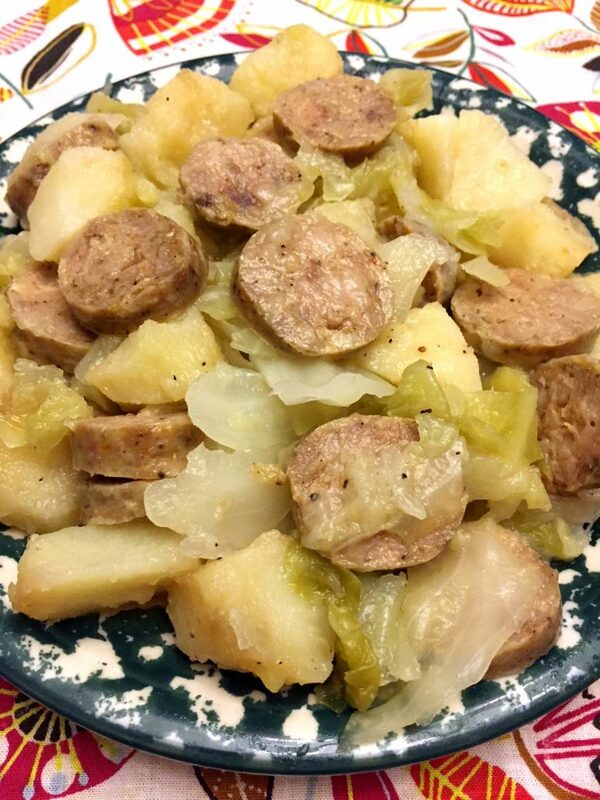 Instant Pot kielbasa, cabbage and potatoes is a perfect old-fashioned comfort food! 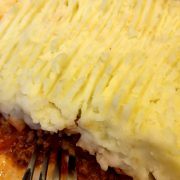 You will love this easy one-pot dinner! 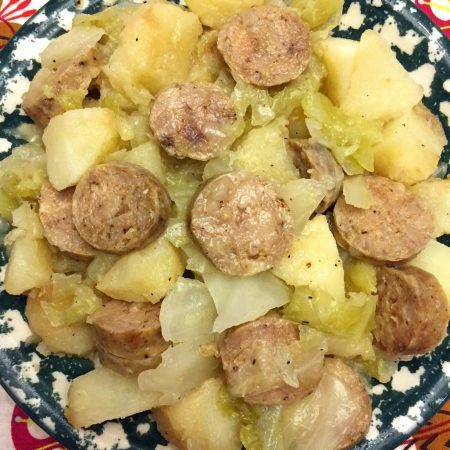 Introducing: Instant Pot kielbasa, cabbage and potatoes! Yummy yum yum! Everything cooks in one pot – hooray! 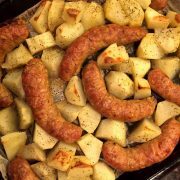 The classic version uses cook kielbasa sausage, but you can use any type of sausage, whatever you have on hand 🙂 You can also use raw sausage, the only difference is that with cooked sausage you slice it before putting in the Instant Pot, and the raw sausage you cook whole (since it’s too hard to slice raw) and slice after everything is cooked. 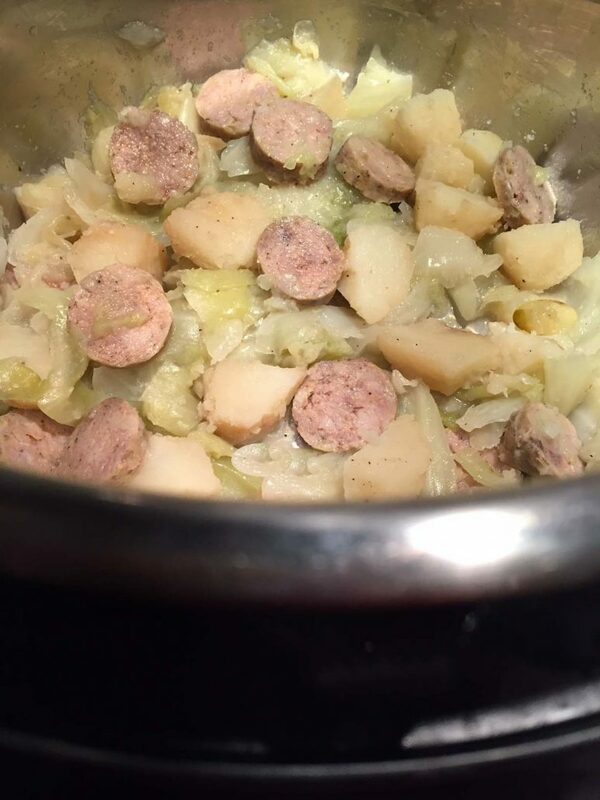 Making this cabbage, kielbasa and potatoes Instant Pot dinner is very easy! 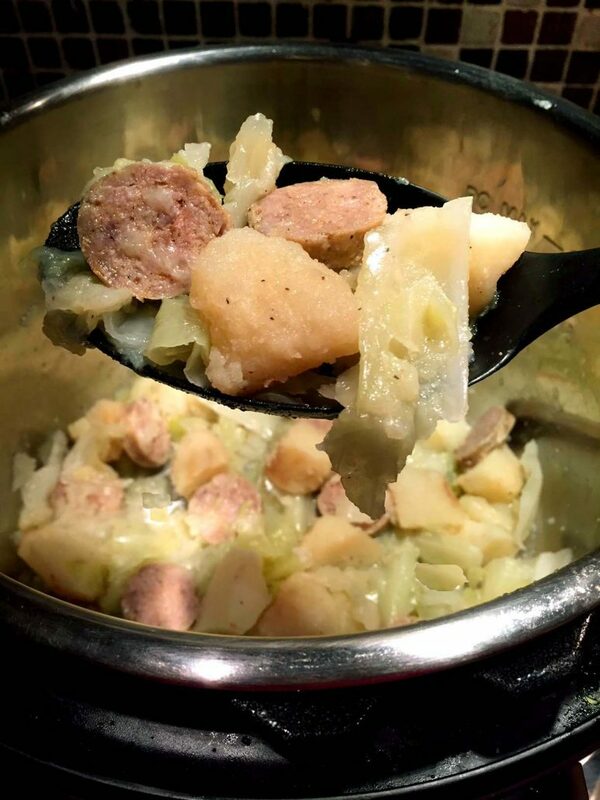 All you need to do is to dump sliced kielbasa, sliced cabbage and potato pieces in the Instant Pot along with 1/2 cup of water, sprinkle with garlic powder and cook on High Pressure for 10 minutes (or for 12 minutes if using raw sausages). Once it’s done, quick release (QR) the steam, drain excess water and season with salt and pepper to taste. Dinner is ready! 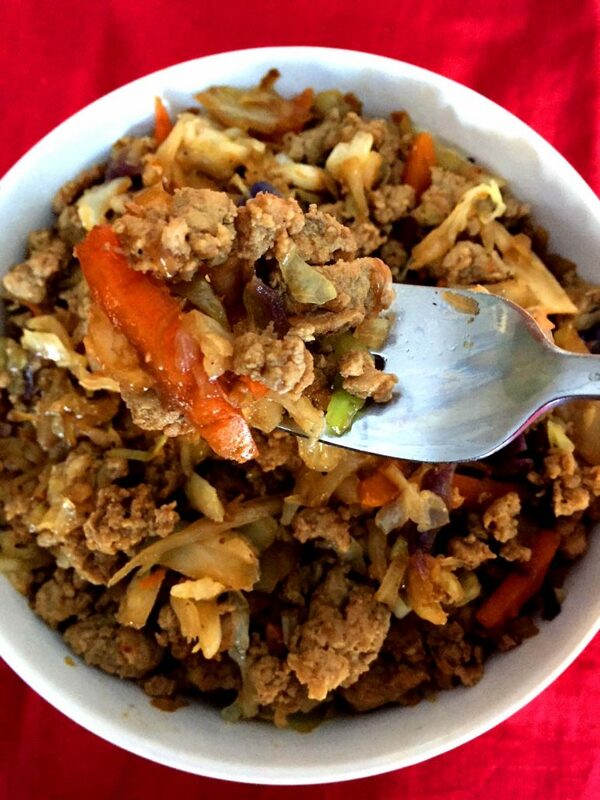 Instant Pot Egg Roll In A Bowl – it’s like the egg roll without a wrapper! Perfectly dinner in 10 minutes, so yummy! Instant Pot Honey Mustard Chicken – so easy and yummy, this is going to be your new favorite easy chicken dinner! 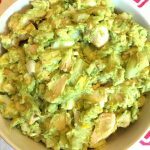 Instant Pot Easy To Peel Hardboiled Eggs – once you try making hardboiled eggs in the Instant Pot, you’ll never make them any other way! They peel easily every single time – no more stuck peels ever! Instant Pot Meatballs – the quickest and easiest way to make meatballs from scratch! So juicy and tender! 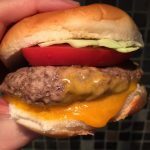 Instant Pot Hamburgers – this recipe is a true breakthrough! Instant Pot burgers are so effortless and you don’t have to flip them or deal with splatters! 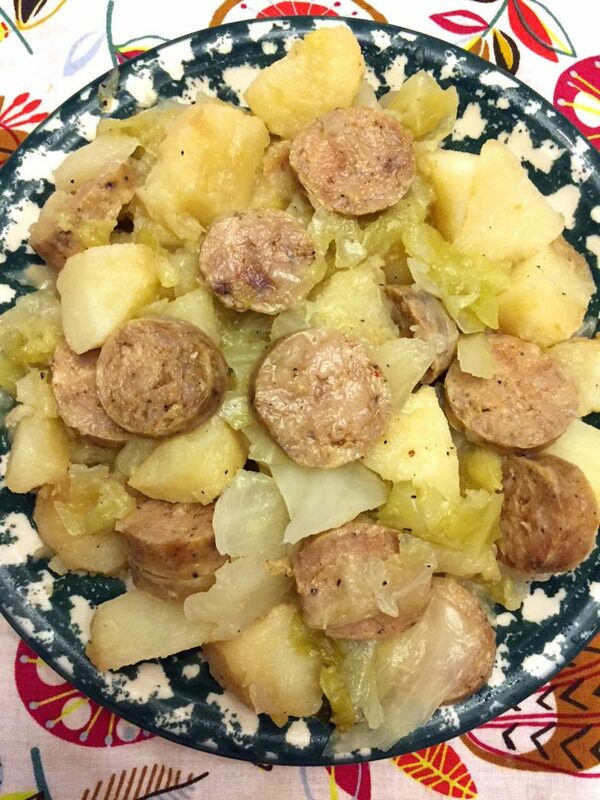 This easy Instant Pot sausage cabbage and potatoes is a perfect one-pot main dish! 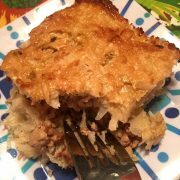 So easy to make, yummy and comforting! 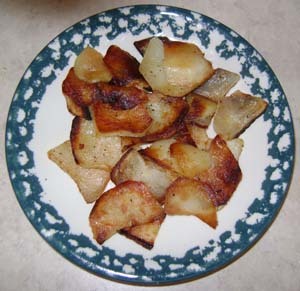 Put water, kielbasa, potatoes and cabbage in the Instant Pot. 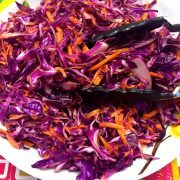 Make sure the contents don't go above the "Max Fill" line (if they do, remove some of the cabbage). 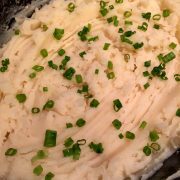 Sprinkle with garlic powder. Close the lid and turn the valve to a Sealing position. Press the "Pressure Cook" or "Manual" button and set the time to 10 minutes. When the Instant Pot is done cooing, quick release (QR) the steam. Drain excess water, add salt and pepper to taste and serve. You can make it with uncooked sausage - just add raw sausage links, increase the cooking time to 12 minutes, and slice the sausage after it's cooked.